Simple Ways to Save on Monthly Electric Bill. By being diligent and using these tips, you can take a big chunk out of your gas or electric bills. Whether you live in an apartment or home, this thing will help you to save money each month. If you live on a fixed income or your income doesn’t always meet your needs, it is important to have a strategy to save on your utility bills. Leaving on light, television, and games on when you are not using them, can quickly run up your electric bills. It is also good to know that the government subsidy LIHEAP helps low-income families pay heating and cooling bills. However, that money is only given once a year. The rest of the year, you have to look for ways to save on your gas and electric bills. According to the U.S. Energy Information Administration, 61% of home energy is used for heating and cooling the home, “lighting and other appliances use 26%, water heating 20%, air conditioning 8%, and refrigeration 5%.” It is easy to see how our energy bills can really take a big part of the budget. It is easy to see how our energy bills can really take a big part of the budget. If you change a few basic habits, it will save money on your average electric bill. The U.S. Department of Energy states the average as $2,200, but depending on how cool or warm you like your environment; the amount will vary. It is amazing how simple steps, can shave hundreds of dollars off heating and cooling, and lighting your home. Below are some common sense steps to help you save on your energy bills. I have heard people complaining about the government telling us which light bulb to use. If it can save you money, why not do it? The fact is you can decrease the amount of electricity you use by two-thirds, by using compact fluorescent light bulbs. According to the Union of Concerned Scientists, you can save $30 over the life on one CFL. Multiply that by each lighting fixture you have in your home and count the savings. Many utility companies are giving away free sample CFLs, to help consumers get a look and feel of the bulb and show how they can save. A British study by Waterwise compared the amounts of water used in a dishwasher and hand washing. The average amount of water used to wash and rinse a sink of dishes by hand is about 10 gallons while using a dishwasher you use from 3-4.25 gallons of water. So it would appear that using a dishwasher will save on water and the electricity it will cost to heat the water. You can also, turn off the heating element and allow the dishes to air dry. Instead of running the heating element. Let your dishes air dry. You may remember your Mom or Dad going through the house turning out the lights, and fussing about wasting money? Today we are losing money by keeping a plethora of electronics plugged in 24/7. Even when an appliance is turned off, it is still pulling electrical power. Multiply that for each TV, cell phone, and computer, DVD, microwave and other items you have plugged in around the house. I would not go around unplugging every electronic in the house but try unplugging items you don’t use that often. The number-one item that remains plugged in the home that can be unplugged is the cell phone charger. Especially if you have a few teens in the home. This can save you about $30 a year on your average utility bill. You will be surprised how much energy escapes from different areas of your home. Go to your home and put your hand in front of a door or window, and if your home is not winterized, you can feel the cold air or heat coming in. No door or window is completely sealed. Wood around doors and windows expands and constricts causing small space where heat and cool air can leave your home. Place weather stripping around doors and seal windows and outlets to prevent energy loss. If you have a fireplace, make sure the fluke is close to prevent the loss of heat or cool air from escaping. Most people enjoy a long, hot shower. It can be relaxing and quite therapeutic. It also uses up a lot of energy. To save money on utilities, you can turn down the temperature on the water heater to about to about 120 to 130 degrees Fahrenheit. If you live in an apartment, ask maintenance to adjust the temperature on your water heater. The less hot water you use, the less your heater will have to work, and the more money you will save. You will have to be more conscious of how much hot water you are using because the hot water won’t last as long. You can cut your 20-minute shower to about 5 minutes so that everyone in the house can have hot water when they need it. The U.S. Department of Energy recommends insulating your water heater. By this little measure, you can save on the energy this unit used by 25% or more. If the heater if warm to the touch, it can benefit by insulating it. This is such an easy process, it is foolish not to do it. You can purchase an insulation blanket at any hardware store. Wrap the water heater tightly and secure with some type of adhesive or electrical tape. Make sure to change your air filter several times a year. A good way to tell if it needs changing is to look at it. If it looks dirty, replace it. A clogged filter will make your air and heating system work harder by hindering the air flow. This will cost you money and put an unnecessary strain on your system. A dirty filter will also cause air quality to become unhealthy. This can be a problem for children, the elderly and those with breathing problems. Filters are relatively inexpensive. If the filter looks dirty, replace it! For more information, go online to your gas or electric company for a breakdown of what is spending on different appliances in your home. 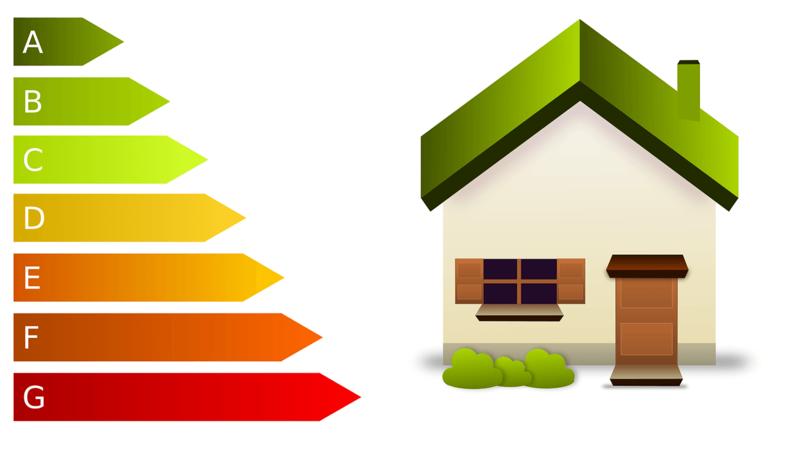 You can also request free energy check up on your home.